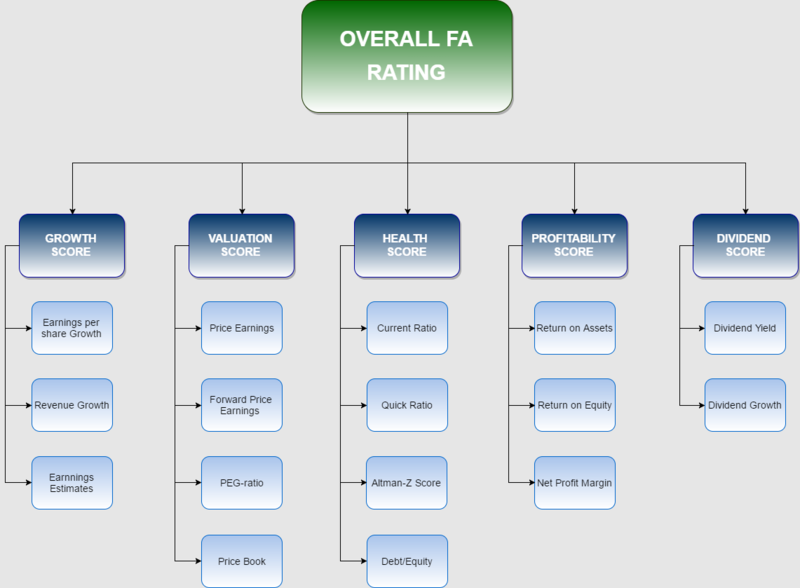 Besides the items displayed in the chart, other fundamental criteria are used as well. Depending on the criteria, it will be evaluated on an absolute basis or it will be compared with the sector peers of the subject under analysis. The container concepts Growth, Valuation, Health, Profitability and Dividend offer a high level view and have the advantage that they are clear concepts which makes sense, also to people who are not so familiar with the specific fundamental terminology. You can check these ratings for any stock in our ChartMill Analyzer Tool, which gives you an answer in the form of a full TA and FA report when entering a ticker code of a specific share. You can check the exact values of the properties in both the ChartMill Ratings or Fundamental views. You are looking for shares that are financially very healthy and pay a decent dividend. To achieve this, we opt for the ‘ChartMill Health Rating’ and select a score of 9/10, we also choose the ‘ChartMill Dividend Rating’ with a score of 7/10. 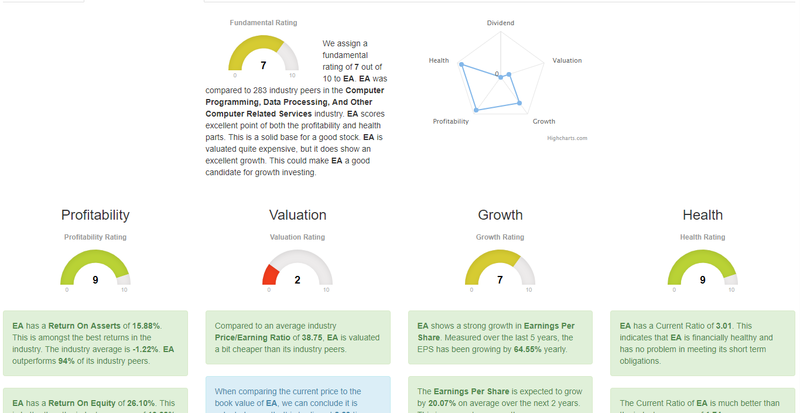 You are looking for typical growth stocks with strong earnings. In that case, we choose the ‘ChartMill Growth Rating’ with a score of 8/10, combined with the ‘ChartMill Profitability Rating’, with a score of 8/10. Tip: If you find that the number of shares is still too large, you can further narrow the criteria by selecting higher scores for the selected ratings! These are just a few simple examples of what’s possible with our stockscreener. Of course, these predefined ratings can be further supplemented with numerous individual technical or fundamental filters.